To get our creative momentum going Cailin and I often go out on Saturdays to shoot some photos. We have now become accustomed to calling these adventures, “Saturday Shoot Days.” At times we’ll have a look or aesthetic in mind, but this time we just chose a location and worked off of that. If you live near or in Upstate NY, going to an apple orchard every fall is basically a right of passage. It might be basic, but come on… who doesn’t like fresh apples off the tree, some cider and of course some apple cider doughnuts?! So off we went to a local orchard to take some photos. We’ve got another coffee oasis spot for you guys! As you all know by now, finding cool coffee shops wherever we go is kinda our thing. There are too many amazing coffee places in the city that no matter how hard we try we will probably not make it to all of them…which is what makes the city so great in a way, but in Upstate NY you have to sometimes search for them. Cailin came across Spektor Coffee in Glens Falls, NY on Instagram so on a nice day we drove up for an afternoon caffeine kick! We’re always checking out cool coffee shops, so when we found Moto Coffee Machine we had to make a little day trip to Hudson, NY. Moto Coffee Machine is a coffee shop that also doubles as a motorcycle dealership. In turn, the cafe is decked out in motorcycle helmets and bikes! Cai and I both got a cappuccino, which was delicious. The space has a few tables out front, maybe three round tables with a pair of chairs, bar stool seating and a communal table. There were several people on their laptops and it seemed like a chill spot to get some work done! 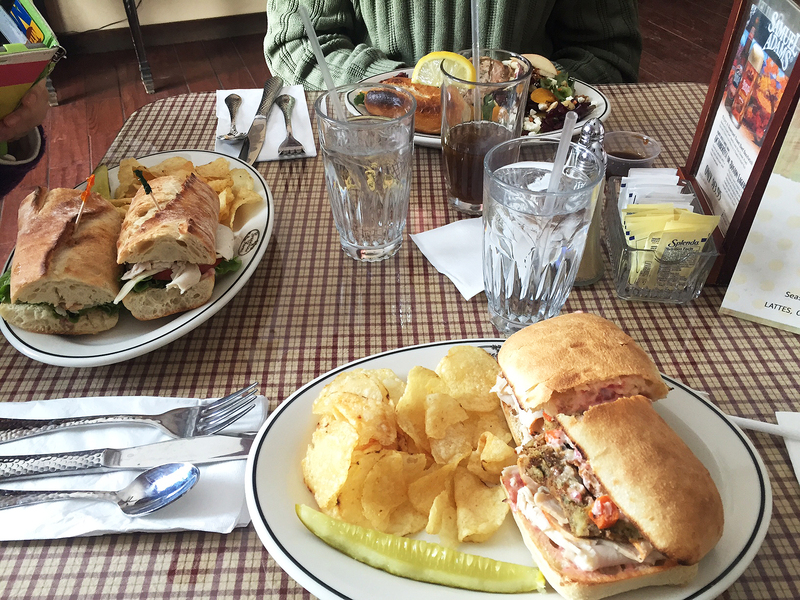 One of our favorite things to do is take a drive and grab lunch wherever we end up. While visiting home one weekend our stepdad took us to lunch at Grapevine Farms in Cobleskill, NY which was one of his random drive finds. 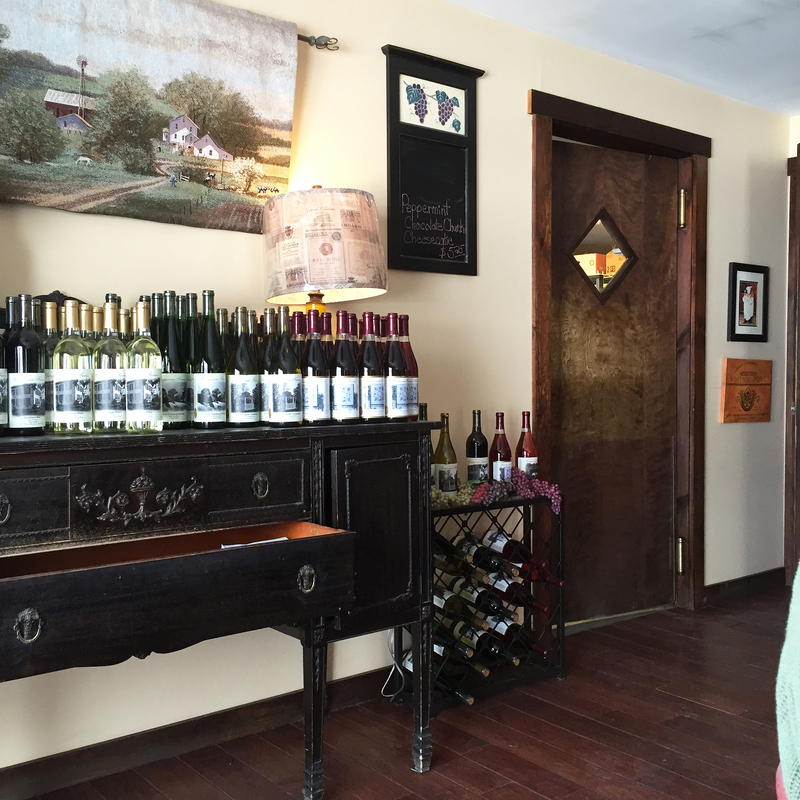 It is a cute country bistro with fresh-made sandwiches, soups, salads and desserts. 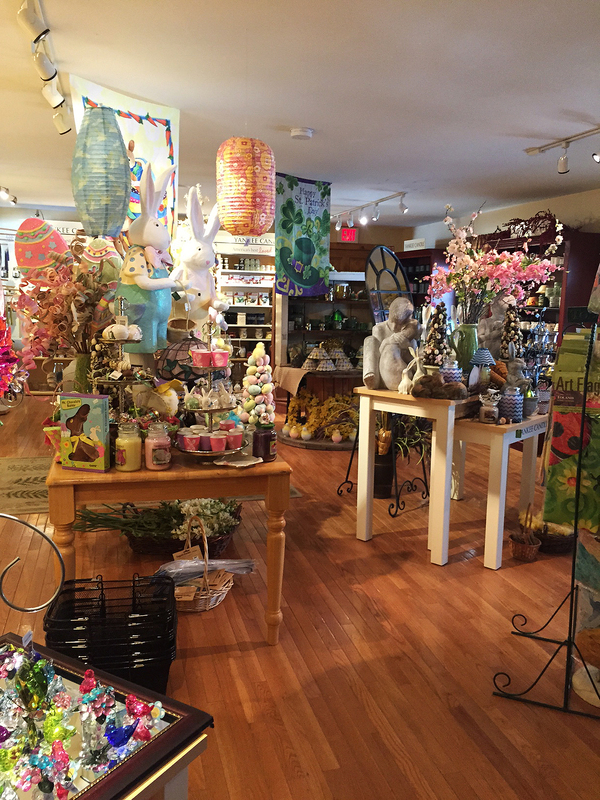 It also is a store that has a ton of finely curated knick-knacks, bags, candles and accessories. The store is actually pretty large with multiple rooms and floors of merchandise. There were so many unique things that would make perfect little gifts.